In my last entry, I was a bit pessimistic about the Phillies’ chances against the Mets. In the wake of their being swept by the Braves, I was happy that they’d at least won the first game to avoid being swept again. In retrospect, what was I worried about? This time, the cleat was on the other feet, and the Mets were the ones being swept!! The Mutts, oops, Mets were only able to muster a grand total of 3 runs over the 3-game sweep, as the Phillies won by scores of 7-2, 4-1, and 2-0.
for 22 runs, 10 of which came in the first inning! I almost felt a teeny bit bad for Johnny Cueto, who gave up 9 of those runs in a mere 2/3 of an inning. Amazingly, 8 of the 10 runs came after there were two outs and no one on base! Cole Hamels gave up a solo homer to Jonny Gomes, but that was it for the Reds. Things got so bad for them, they brought infielder Paul Janish in to pitch the bottom of the eighth, his second such appearance this year. Apparently the first outing was less than stellar, as he gave up 5 runs. This time would be no different, as Janish coughed up six runs, including a Jayson Werth grand slam. Poor Janish now has an ERA of 49.50 to show for his efforts. Now for tonight. More often than not, it seems that after the Phillies have an outburst like this, the next night they are asleep at the wheel. I hope that this time they can continue with the offensive heroics, and keep their winning streak going. On Sunday, we took the kids to the Reading Phillies for Kids Club Game #2, where they were happy to receive their Crazy Hot Dog Vendor pillowcases. There was also a pre-game Mascot Meet and Greet – the R-Phils have no less than 5 mascots! I can understand mascots with names like Blooper, Change-Up, and Screwball (a dog, turtle, and mutant Mr. Red/Met combo, respectively), but I’m not so sure about Quack (duck) and Bucky (beaver). I think it’s just so they have enough to complete the Mascot Band, which performs live before Saturday games. 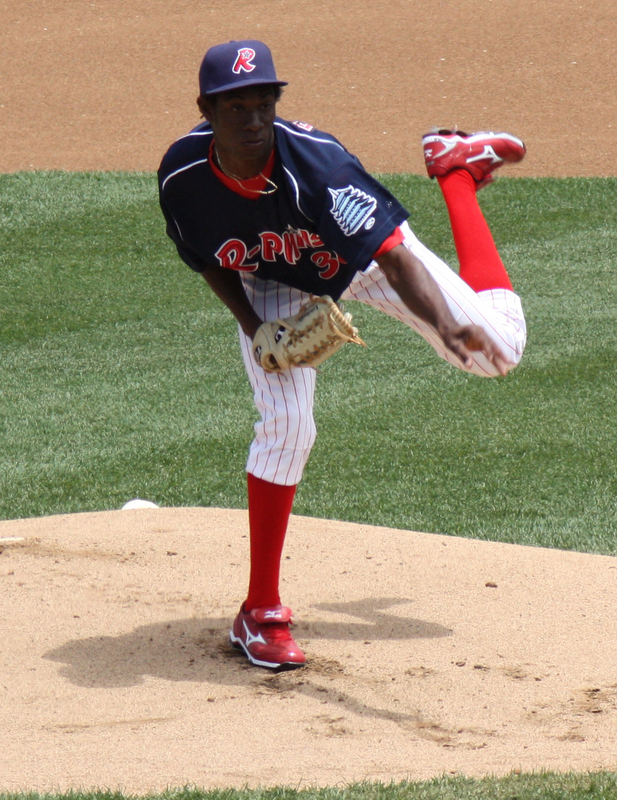 Yohan Flande was on the mound for the R-Phils, making his second start at AA since being called up from Clearwater. The Connecticut Defenders (S.F. Giants affiliate) countered with prospect Tim Alderson. 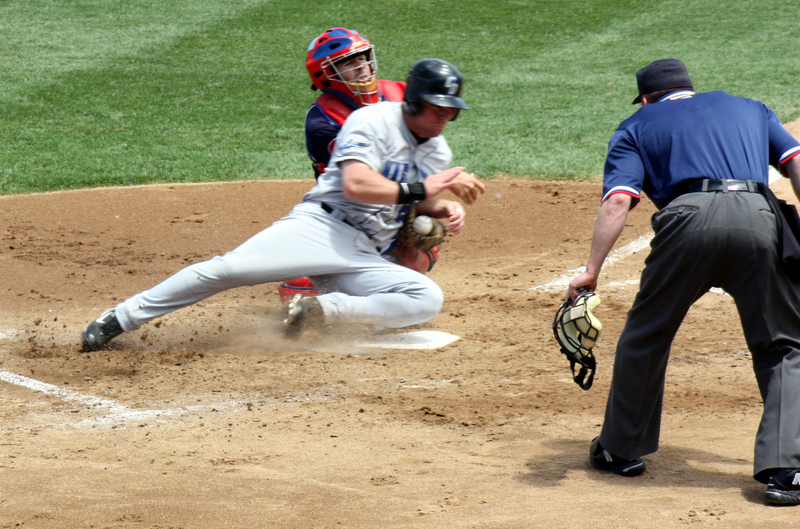 Though it looks like the baserunner should be out, the ball was knocked loose on the play. 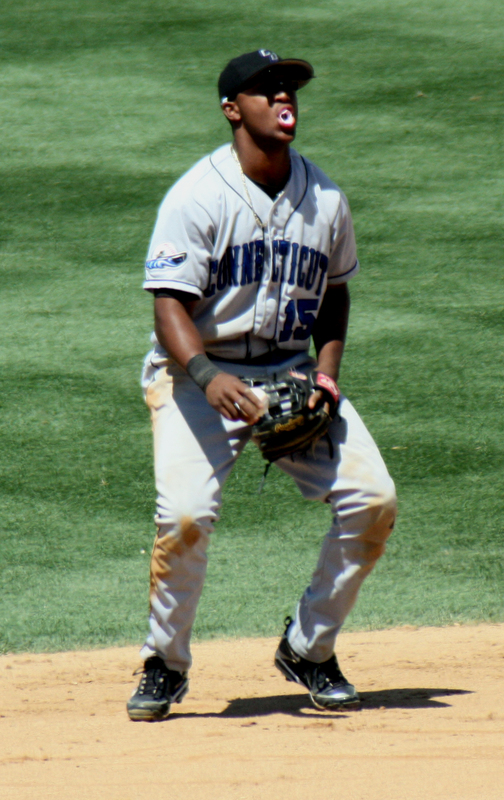 One more favorite shot from the game – in this one, Connecticut shortstop Sharlon Schoop’s bubble bursts, both literally and figuratively, as he is unable to make a play on a hard ground ball that had caused him to stumble while fielding it. On the way home from Reading, we passed a restaurant that was advertising a “Bridal Tasting” later this month. One assumes/hopes that this is a chance for brides and grooms to sample menu options available for rehearsal dinners or receptions. Otherwise, the choice of wording leads to some unusual mental images.